Help us end BEAR BILE FARMING in Vietnam! 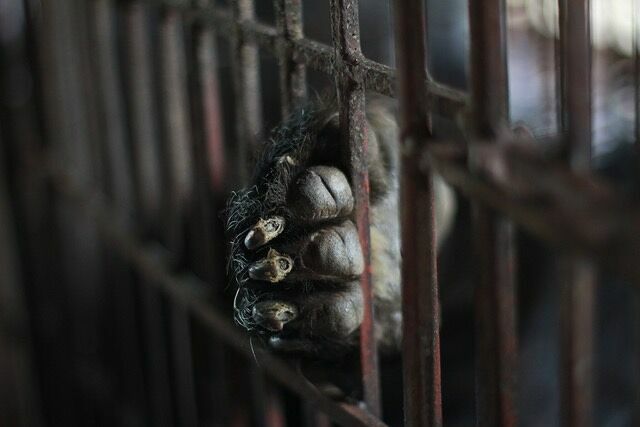 Sadly the practice of bear bile farming, as highlighted by international animal charity Four Paws, is an ongoing problem in Vietnam. 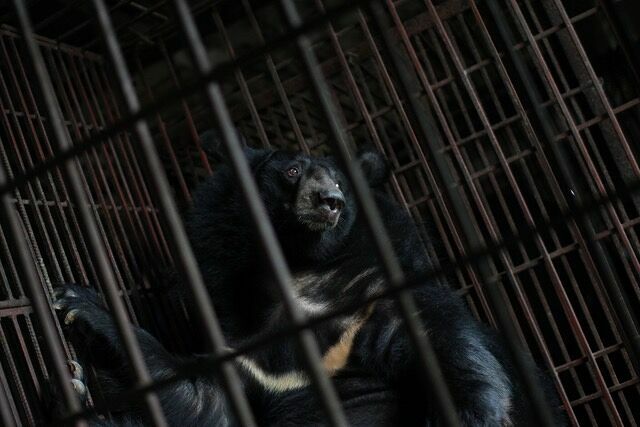 The practice involves Asian black bears being kept in conditions similar to battery farmed hens in order to harvest their bile, which is then used by some Traditional Chinese Medicine practitioners. A new campaign from Four Paws is raising awareness of the cruel practice of bear bile farming, along with gathering signatures to put an end to it. 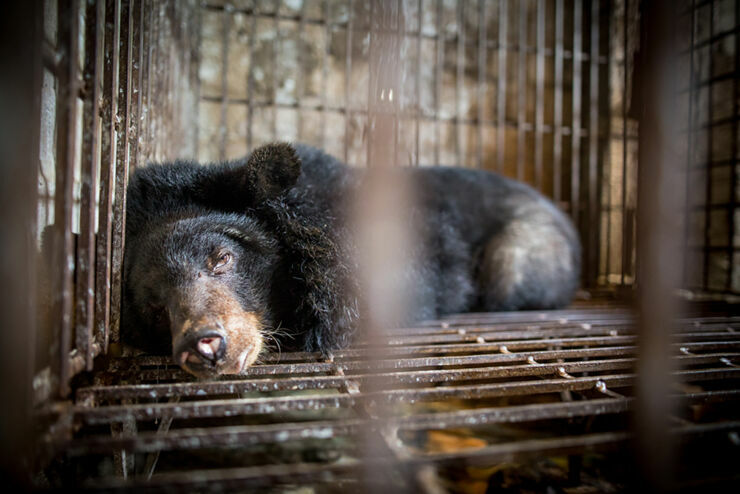 According to the animal welfare charity, in Vietnam around 1,300 bears suffer in small metal cages in farms and trapped in backyards, having their bear bile cruelly extracted. It's then illegally sold on the streets of Vietnam or in Traditional Chinese Medicine (TCM) shops, or over the internet. Bear bile has been used for thousands of years in Traditional Chinese Medicine as an elixir, but the act of extracting it is extremely painful for the bears. And herbal alternatives do exist. To highlight this suffering Four Paws teamed up with creative agency Don't Panic to create an online Bear Endurance Test. Which is an interactive microsite which shows bears in captivity undergoing stressful conditions. It monitors how long people can watch it for, then reveals that these bears can suffer like this for up to 20 years—their entire lives. 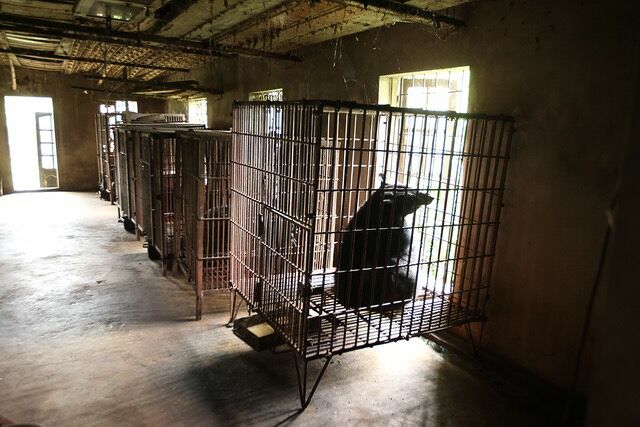 Screenshot of the bile farming 'Bear Endurance Test' / Image Source: Four Paws. Four Paws are now calling on the government of Vietnam to end bear bile farming and this project is part of their international campaign to do this. 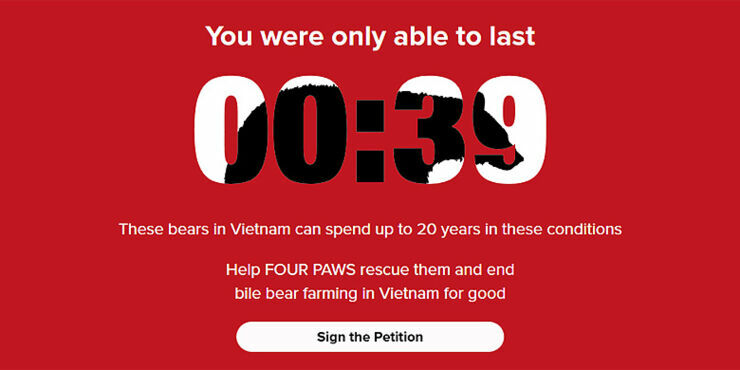 "To be able to send a strong message to the Vietnamese government, Four Paws aims to bring the voices of 1 million people across the world who have signed the petition to the Vietnamese government," states Kieran Harkin, Head of International Wild Animal Campaigns at Four Paws. "This will help deliver an unprecedented message that now is the time to finally end bear bile farming for good." The charity are currently building a sanctuary in Vietnam that will house the animals who have suffered from bear bile farming, offering a hundred bears salvation and rescue. The aim is to show the public these bears in a more appropriate environment and drive change in how these animals are perceived, and ultimately end bear bile farming for good in the country. You can check out the Bear Endurance Test microsite and sign the petition here. Bile bear paw in cage. Image courtesy of Four Paws. Bile bear in cage. Image courtesy of Four Paws. 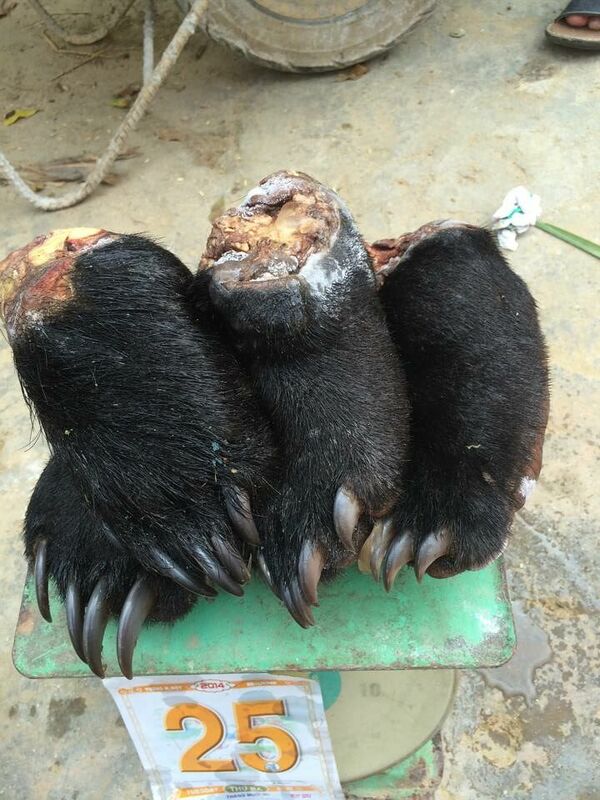 Bile bear paws for sale. Image courtesy of Four Paws.